Every year, the Salon Art + Design presents historical, modern, and contemporary furniture, art, and design objects from over 50 international galleries. The 2018 edition, held in New York's famed Park Avenue Armory from November 8-12 and produced by Sanford Smith + Associates, unites a diverse roster of dealers specializing in classic and abstract antiquities to the latest work of emerging masters. This year’s offerings are decidedly jewel-toned, notices Jill Bokor, Salon Art + Design’s executive director. It’s no surprise given that several exhibiting makers such as Erin Sullivan, shown at Todd Merrill Studio, cut their teeth designing jewelry. 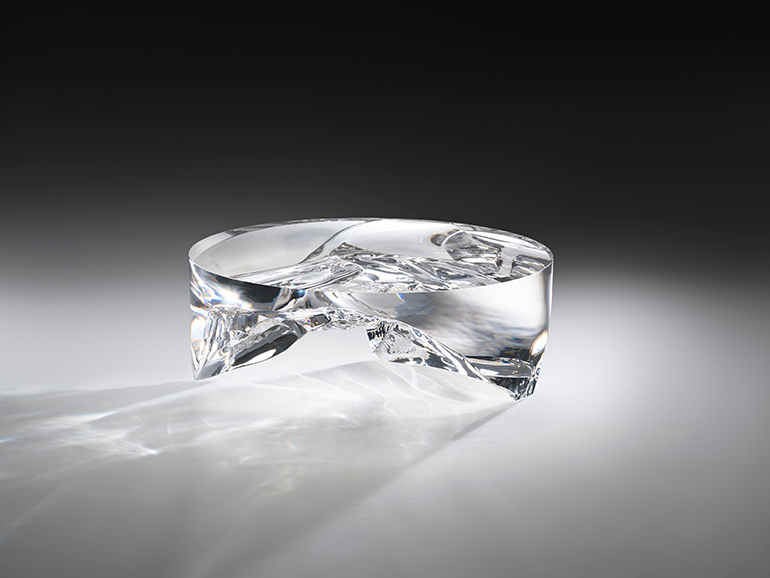 “From working small, she has moved onto design objects reminiscent of jewel-like sculptures,” Bokor notes. “Similarly, the disks of mirror encrusted in thick gold leaf by Nancy Lorenz, at Liz O’Brien’s booth, would make for lust-worthy earrings at a smaller scale.” She further notes that each of these designers have used color, shapes, materials, and intricacy that is the hallmark of fine jewelry. Browse a preview of the works on display. 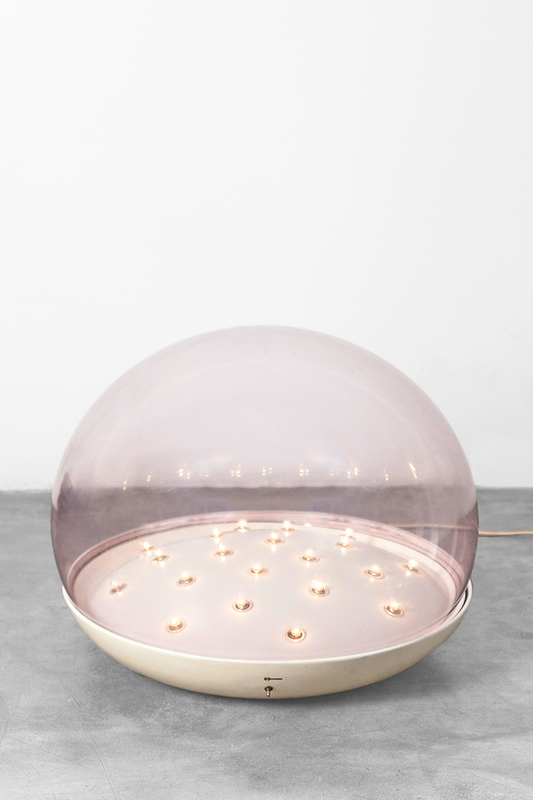 Gravity (2015) by Fredrikson Stallard for David Gill Gallery. Image courtesy of David Gill Gallery. 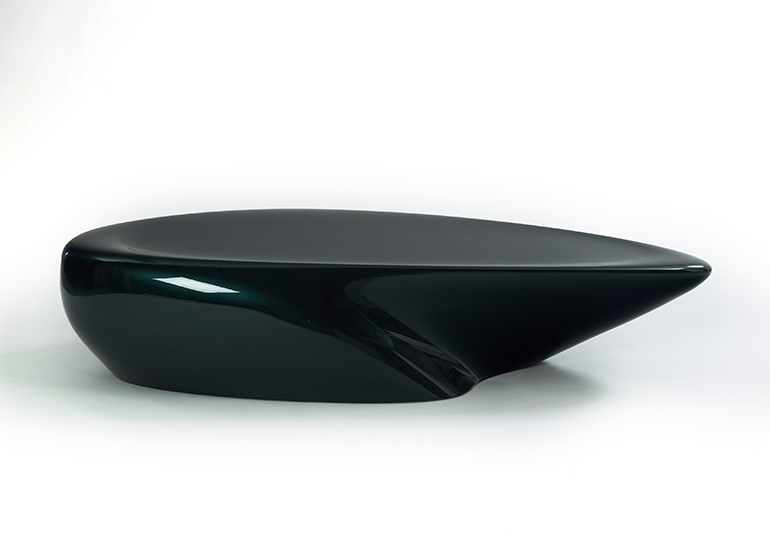 Stardune table (2007) by Zaha Hadid for David Gill Gallery. Image courtesy of David Gill Gallery. 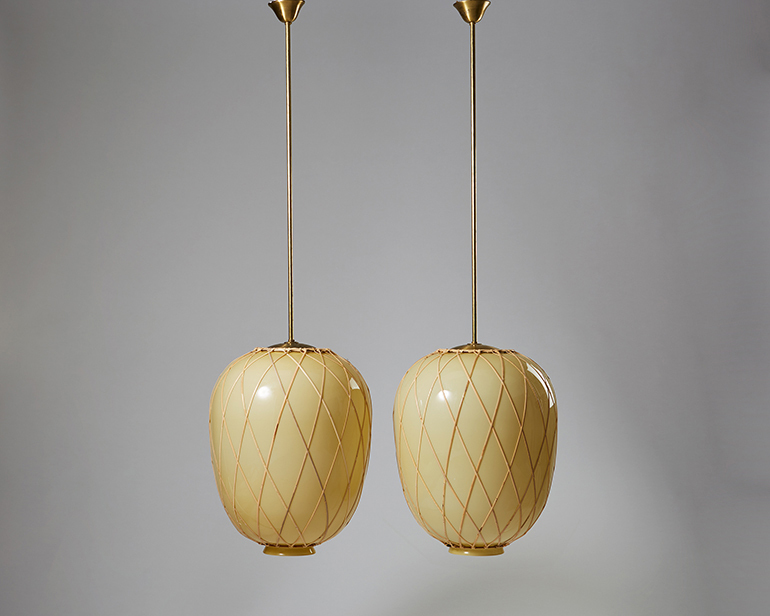 Ceiling lamps (1920’s) by Carl Westman for Böhlmarks through Modernity Gallery. Image courtesy of Modernity Gallery. Moon ‘69 Table Lamp Mod. 604 (1969) by Gino Sarfatti for Giustini Stagetti Galleria. Image courtesy of Giustini Stagetti Galleria O. Roma. 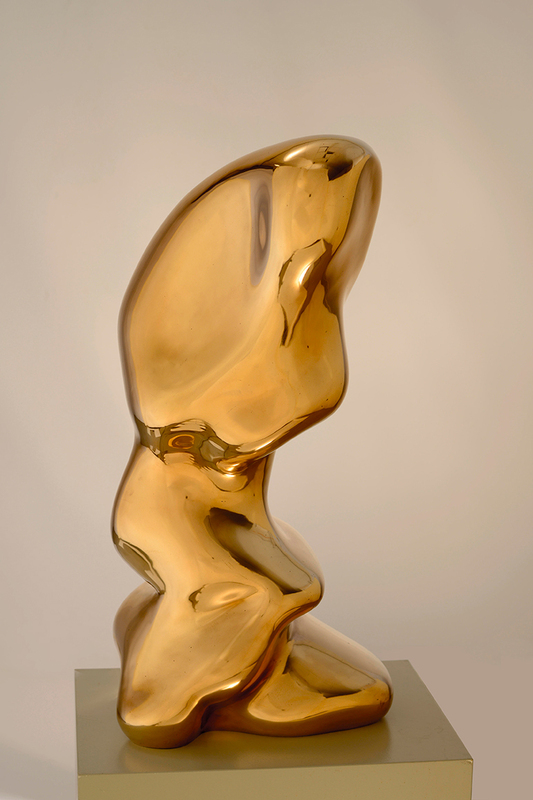 Pflanzengriffel (1959) by Jean Arp for David Lévy & Associés. Image courtesy of David Lévy & Associés. 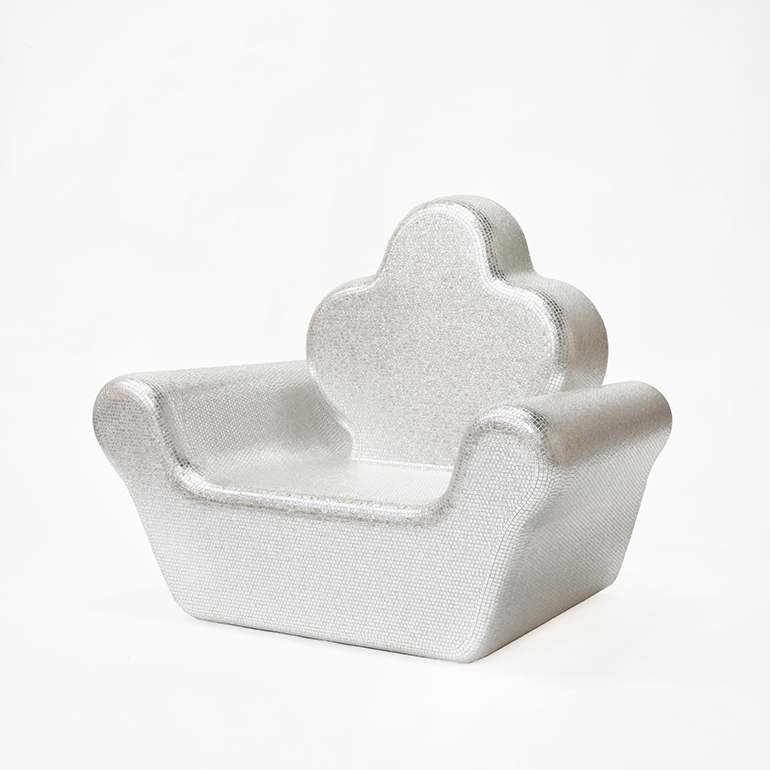 Poltrona (2013) by Alessandro Mendini for Galerie Kreo. Image courtesy of Fabrice Gousset. 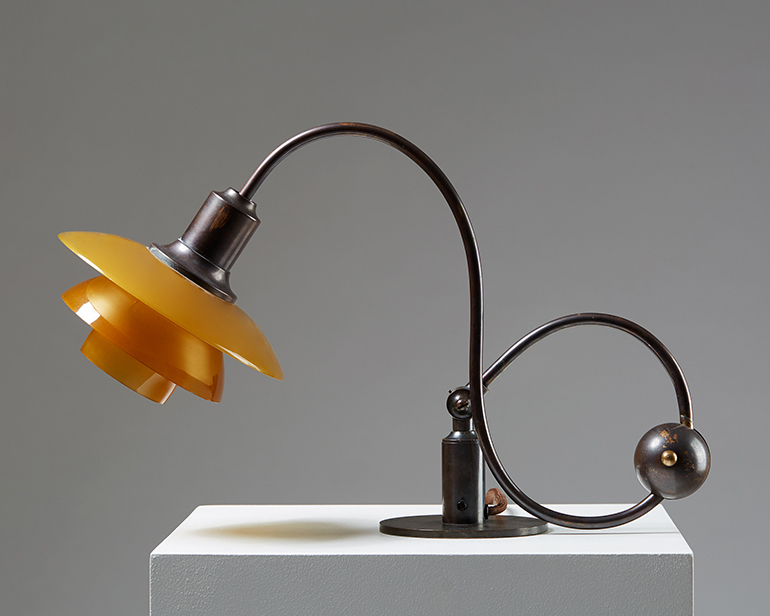 Piano Lamp (1931) by Poul Henningsen for Louis Poulsen through Modernity Gallery. Image courtesy of Modernity Gallery. 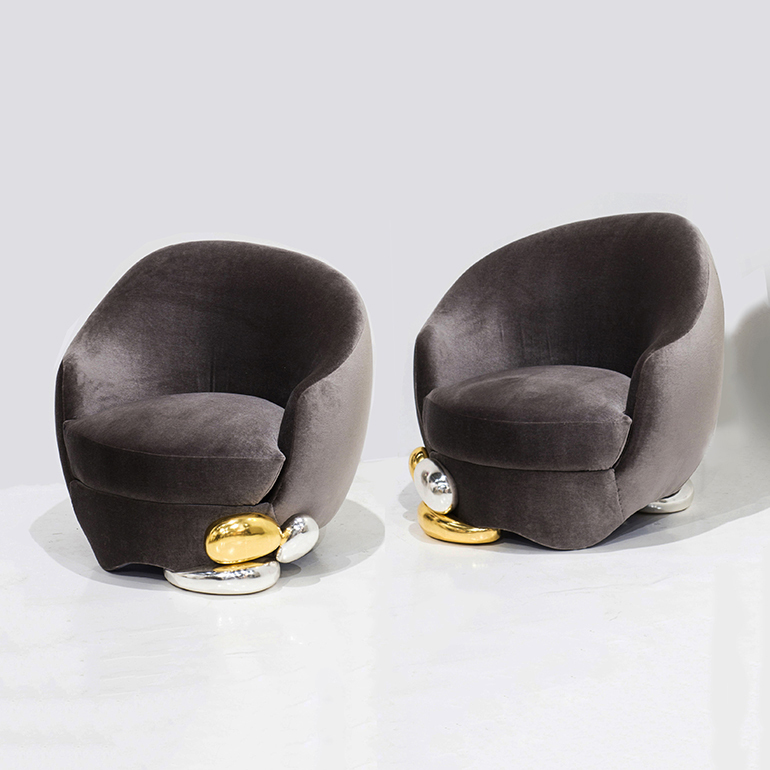 Ontario Armchairs (2015) by Mattia Bonetti for Twenty First Gallery. Image courtesy of Twenty First Gallery. 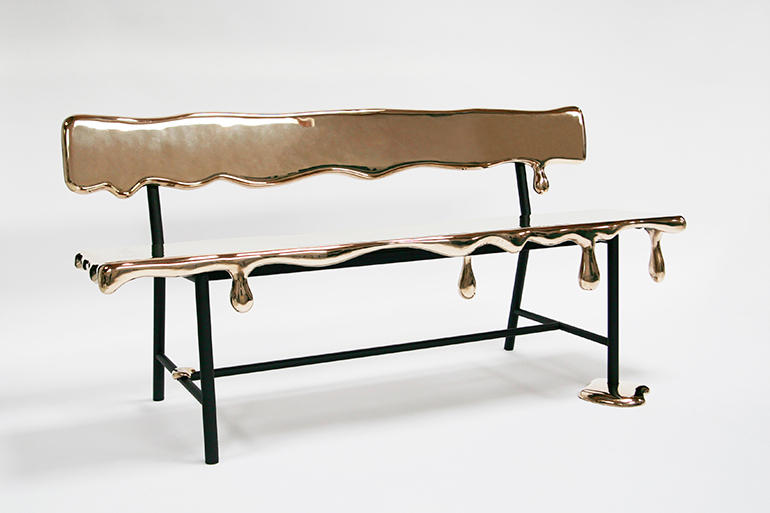 Dew | The Melting Series (2017) by Reinier Bosch for Priveekollektie Contemporary Art | Design. Image courtesy of Priveekollektie Contemporary Art | Design. 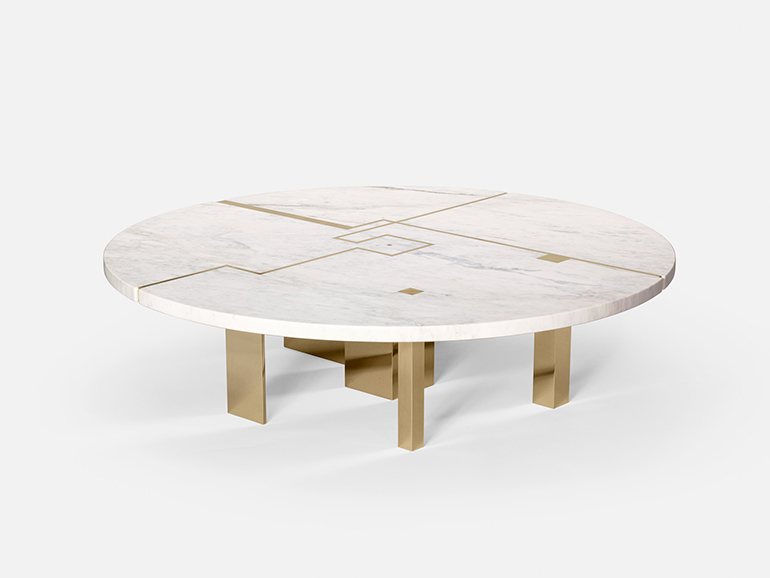 Mica table (1930) by Arnaud Carpentier for Vallois. Image courtesy of Vallois. 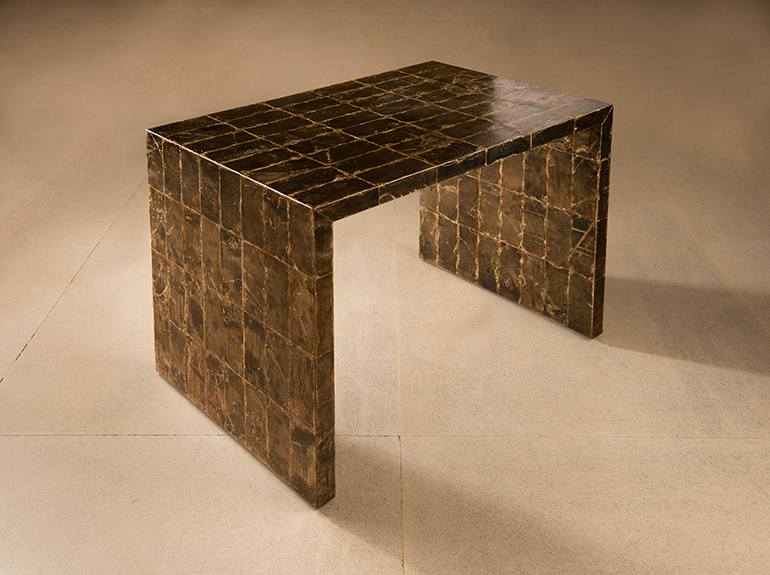 Table Basse Architecture (2018) by Hervé Langlais for Galerie Negropontes. Image courtesy of Galerie Negropontes. 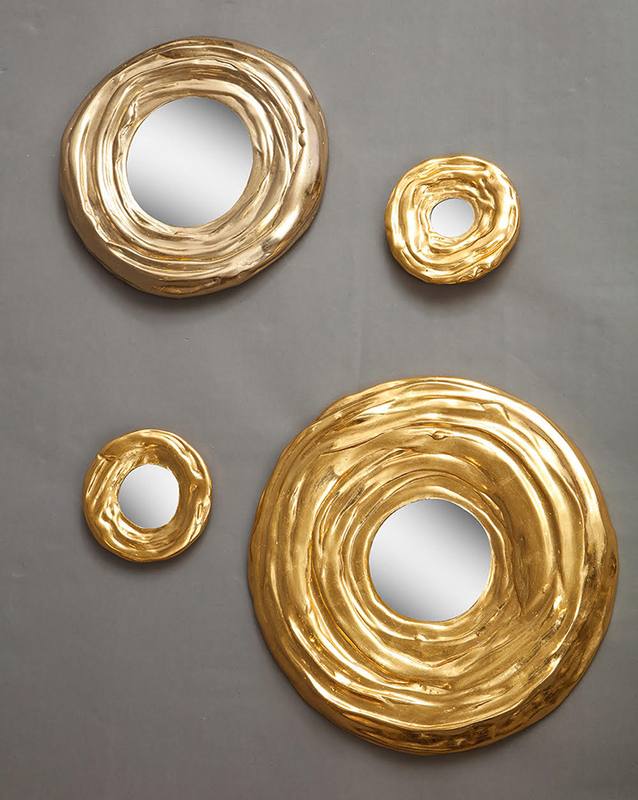 Mirrors by Nancy Lorenz for Liz O’Brien Gallery. Image courtesy of Liz O’Brien Gallery.